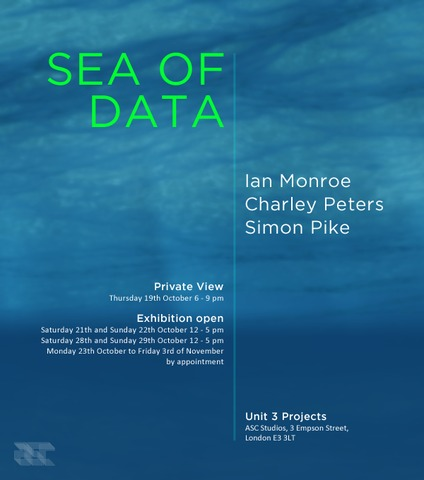 A group show of works by Ian Monroe, Simon Pike, and Charlie Peters. Our lives are increasingly mediated by digital technology. Our day to day needs and desires served by a multitude of screens, displays and monitors vying for our attention. Our leisure time is spent being immersed in virtual landscapes and our work and home life made more efficient as we instinctively navigate digital environments where the interface is increasingly becoming invisible. As we browse, shop and share online gigabytes of our personal and social data are being harvested, our movements, actions, opinions and attitudes all being recorded by default. This sea of data, which we surrender to convenience, is seen by many as the force which will power our digital futures. As we float upon it our attitudes and habits are increasingly informed and influenced by its ebb and flow our ideas swayed by its tides and currents. Ian Monroe, Charley Peters and Simon Pike all use abstract form to evoke external reference. Their work sits in a tradition which doesn’t rely solely on the hermetic modernist ideal of pure form and apartness from life. It references the real world and the hardware and software that enmesh and pervade much of our daily lives. By appropriating aspects of the contemporary visual language which is increasingly defining our culture it utilises and explores the aesthetic of the screen which has become such an intrinsic part of our lives. 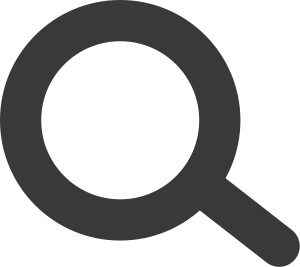 It considers the viewer/user experience of receiving and interacting with a quick succession of multitudinous visual information though different apps or channels over different devices. It employs systems of representation and the graphic visualisation of data which are becoming increasingly commonplace. In so doing aspects of the virtual becomes manifest and questions are raised about the condition of the artwork in a post-digital, networked world where the line between reality and fiction is becoming ambiguous.